If the various reviews which have emerged as A Midsummer Night’s Dream: A Play For The Nation has toured the country are to be believed (and I think they should) the production has been a resounding hit. National and local critics, online bloggers and contributors to discussion boards and social media have been almost universally positive in their praise for the show (a digest of comments about Tower Theatre’s contribution can be found here). Ticket sales have also been strong suggesting a high level of satisfaction amongst the theatre going population. However, a number of blogs/articles have raised some question marks about the project and whether amateurs should or shouldn’t encroach on traditionally professional territory. As the final month of performances is now taking place this would seem to be an appropriate moment to address this point and the question of whether the experiment was a success and should ever be repeated. If I argue that amateur and pro should generally be kept separate, it is because I respect the craft of both. Professional acting, as we all know, is a precarious business with a high unemployment rate… The RSC Midsummer Night’s Dream is a special case in which an honourable attempt has been made to create “a play for the nation”. It should be enjoyed as a one-off, but not become a template for future occasions. In hard times, we need to protect the status of the dedicated professional. I have to say I find this argument a little disingenuous. The logical conclusion would be that in any given field only those specifically trained and dedicated to a professional standard should attempt anything. Really? By extension that would mean any actor struggling to find work should not accept a position as a part time tutor or waiter or call centre operator, etc because a) they’ve probably not trained for it and b) they certainly won’t be as dedicated as they would be to acting; that would clearly be both untenable and ridiculous. And who is to say that an amateur cannot make just as good a job of something as the “dedicated professional”? If I want a celebration cake and I know and can trust a good amateur baker, why would I necessarily go to a professional? Without the involvement of non-professional actors, the RSC’s version of A Midsummer Night’s Dream simply wouldn’t have happened. Community involvement was at the very heart of the project. It’s a very different case from a theatre simply deciding that it will use amateur actors because they can save money on the wages bill. Agreed. And I think there are other subtler ways of cutting down on the bills. I have absolutely no idea what the budget for A Play For The Nation has been – I can only imagine. Despite that I have seen little by way of cheese paring. We have had phenomenal coaching from the likes of Michael Corbidge and Sian Williams, directing from the Deputy Head of the RSC and her talented team, a full and generous complement of highly skilled backstage and organisational staff and unbounded support from the professionals in the cast. Neither have their numbers been skimped on as a result of using amateurs. There are 26 adult performers in each show (18 professionals plus the 6 amateur Mechanicals). Interestingly there are only 14 all told in the current Globe production and a mere 7 in the production at Southwark Playhouse (see here) – indeed in the latter case the paucity of performers is the key selling point of the show. Aside from this the RSC has enhanced prospects for workers in the regions through touring the show to a number of locations. Far from taking away professional earning potential I don’t think that it’s going too far to say that much work has been provided through this particular project. Christopher Haydon, artistic director of the Gate Theatre, in a blog piece rebuffing some of Michael Billington’s arguments goes further. He contends that rather than the project undermining the work of those fully paid members of the company, it acted as a clear demonstration of how great art does not have any boundaries – a seasoned pro, or a teacher from Hackney, can both find pathos, humanity and truth in the words they are speaking. I’ve learnt a lot from my amateur colleagues (the collaboration has been) “an important reaffirmation for me that when we tour the country with our work we’re not simply offering the local community something – we are making each and every performance with them. Thanks for the vote of confidence, Lucy, and I think I can confidently say that, reciprocally, we have learned a phenomenal amount of stagecraft from our wonderful pros and that this will undoubtedly inspire us in our ongoing work within our local communities. The whole concept is one of the most inspired celebratory training initiatives I’ve ever encountered – as well as producing a glitteringly good evening’s theatre. In her article she roundly calls on the powers that be to deliver a repeat of the project every year; well I’m game! It is a project on an almost unimaginable scale, but it is also a very simple idea: to make a new production of a great play in partnership with good colleagues. If it works it will strengthen those bonds and make visible a truly national passion for making theatre. It most certainly did, Erica, and it most certainly has! So it was back to square one in terms of location. The Tower Dreamteam gathered at director David’s house, where we had initially met at the start of this project, to consider our approach to the first task which we had been set by the RSC (details in last post). On the face of it this seemed quite simple. Learn a Shakespeare speech, perform it and capture it on film. However, as with many aspects of A Play For The Nation the reality is somewhat different. This isn’t just any old speech learning process but key preparation for one of the biggest theatrical institutions in the UK/the world. So serious face well and truly on. Actually we had great fun! Though I’ve never belonged to one, it was much how I imagine a book club would be. Like minded people in a dedicated group discussing something which floats their collective boat and drawing out meaning from pieces of written text. We ran through our individual pieces (or in Peta/Tom’s case their duologue) considering context, characterisation and interpretation. Most of my colleagues were a fair way down the line with the learning part already. Shamefully I’d yet to begin; my excuse is that I need to understand what I’m going do with a speech before I can properly commit it to memory. “Suit the action to the word, the word to the action” kind of thing. That said the evening gave me a much needed “gee up” in making a start on the learning on the Tube going home; I’ve never quite known why but for some reason words always seem to stick in my brain better when I’m travelling. Odd! Adam gets the MC treatment – don’t even ask what’s going on here! The following evening the team met again in the Foundry at the Bridewell – this time to participate in a text workshop led by the redoubtable Michael Corbidge. We had already met Michael in a workshop at our initial audition so we knew we were in for a fun but stimulating evening and he didn’t disappoint. While the workshop was designed to aid our work on Task 1, we kept well clear of the actual set speeches . Instead, concentrating largely on a piece from Richard II we proactively examined the text through a variety of group activities. We were being encouraged to form muscle memories which helps the text to be retained and makes our responses to it that much more immediate and real. The big revelation (to me anyway) came when Michael got Maria to tackle a lesser known speech from Two Gentlemen of Verona. A first run through resulted in a piece of prosaic recitation. Then with a simple piece of contextualising/direction the text sprang to life and kept me fully engaged from first word to last; essentially Maria went from reading to an almost fully realised performance in less than five minutes – amazing! Michael was as lively as ever and is a superb workshop facilitator. I can honestly say we learned a great deal in a very short space of time; we are so lucky, once again, to be benefitting from the RSC’s expertise. 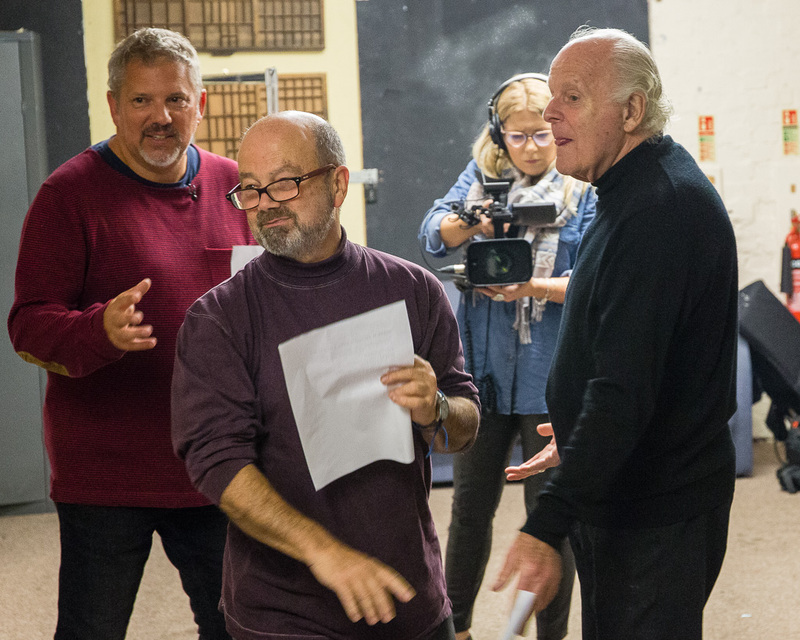 To add to the fun the BBC were filming the workshop and David Sprecher was also taking some great photos of us in action; a full set of these is available here and I think they demonstrate just what a stimulating time we were all having. So armed from this session with a new battery of techniques it was on to the piece of set text and the analysing/learning/decision making. My piece came from Julius Caesar (a perhaps serendipitous clash of initials!) 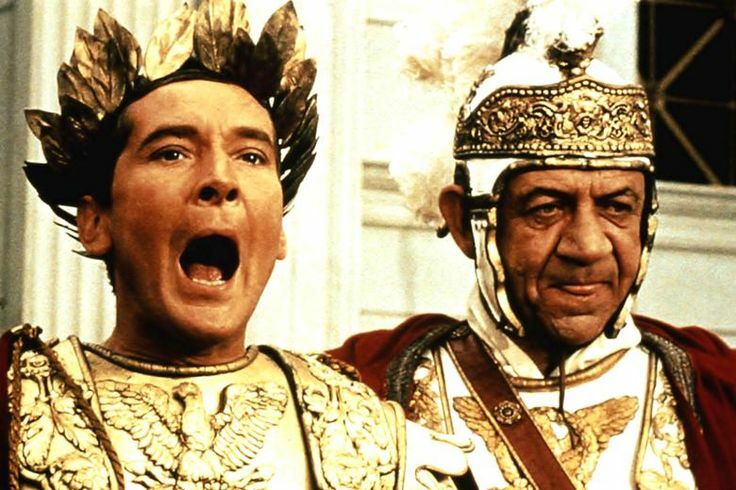 I have to say, however, that Julius Caesar has never been a favourite of mine and I think there’s probably a very particular reason for that..…. Confession time! Coincidentally also 22 lines long, the piece of text I had been given was from later in the same play (Act 3, Scene 1). It is the part where Mark Antony has been left alone with Caesar’s assassinated body for the first time so there are several things going on. He has just lost a dear friend and mentor; he realises that he may be next on the hit list and so is conscious of preserving his own safety; he has just been forging an uneasy truce with Brutus and Cassius, the main conspirators, and is racked with guilt about this; he can foresee a civil war breaking out and in a way wants this to happen; basically he’s hugely conflicted. Quite a lot to put over in less than two minutes which is where Michael’s active learning techniques came in really useful. Fortunately my learning coincided with a week’s stay in a very nice Portuguese pousada so it was great to be able to stride the grounds in the Mediterranean sunshine committing the speech to memory and contemplating meaning and interpretation at my leisure. We had also been asked to consider how our given speech might possibly relate to our character in the Dream. Bottom, of course, is no Mark Antony but he does consider that it’s the sort of part he might play well on stage when he talks about being “a lover or a tyrant”. If we take the latter as meaning a man of action then clearly Mark Antony is both of these in the two Shakespeare plays in which he features. The particular speech is also of a type that Shakespeare parodies when Bottom treats his fellow actors to a short monologue (“The raging rocks/And shivering shocks”) and his grief over Caesar’s death has echoes of Pyramus lamenting Thisbe in the play within a play. So by the time you read this our finished recordings will be on their way to Erica and the team at the RSC. We get feedback in a fortnight’s time and may possibly be requested to repeat the piece to the live audience of other Dreamteamers in the next live link up and/or when Erica pays the team a visit next month. Watch this space for the outcomes. The audition process took place on the Saturday morning. 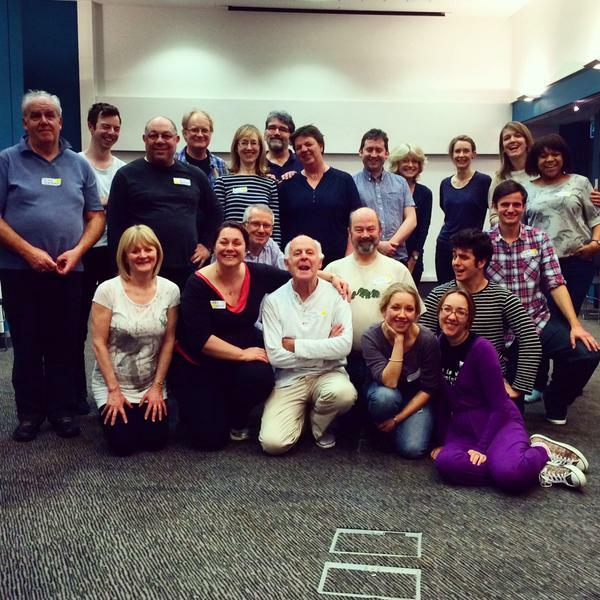 On Saturday afternoon and the whole of Sunday we were treated to three fabulous workshops run by professionals as part of the RSC’s outreach work with amateur theatres across the country. We had already been assured that the workshops were not intended to feed into the auditions so having gone in the first tranche we were at no disadvantage. Rather they were general workshops intended to provoke thought and improve technique. We spent our time with the other two drama groups who had auditioned in the first tranche and who came from Barnes and Dulwich, making us a group of 21 in all. First up was Voice and Text with Michael Corbidge. I assumed that this would be the most sedate of the three workshops but not a bit of it. We spent the whole time on our feet and it involved quite a lot of movement. During the course of the session we picked apart several of Puck’s speeches concentrating not on meaning (again as I had wrongly supposed) but thinking of sound and delivery. We examined why the lines were constructed as they were and the importance of the first and last words of the lines. We spoke individually and chorally with various levels and degrees of emotion. Michael kept us hard at it but was a highly effective teacher with a wicked sense of humour. On Sunday morning, and to the distant sounds of St Paul’s, we attended the Acting workshop with the wonderful Annie Tyson. She really invigorated us when I’m sure we’d far rather have been having a lie in with the Sunday papers. Lots of improvisation exercises culminated in us working on very short (six lines) pieces of text which we had to work up into a specific scene. These ranged from the comic potential of a disgruntled estate agent selling a house to the horrors discovered by three soldiers liberating Auschwitz – plenty of food for thought. This particular workshop just whizzed by; I, for one, could have stayed all day. Finally after a light lunch (well, for some of us) it was time for Movement with the very encouraging Gary Sefton. We’d already heard alarming noises coming from that particular workshop and there were several people in other groups reporting scrapes and bruises so we went into this with some trepidation. Apart from nearly losing my trousers at one point (it’s a long story …) I suffered no damage though I’ll never forget Tom thanking someone for catching him during a chasing game and thus removing the need for him to charge around the room any further. It will also be a long time before I forget the sight of Adam’s watch breaking spectacularly as he tried to rescue the love of his life and their baby from a rapidly flooding dungeon (again, long story). Soon it was 5.30 and all participants gathered to bid a fond farewell to two days of intense but exhilarating work. The long wait for the audition results could begin…..